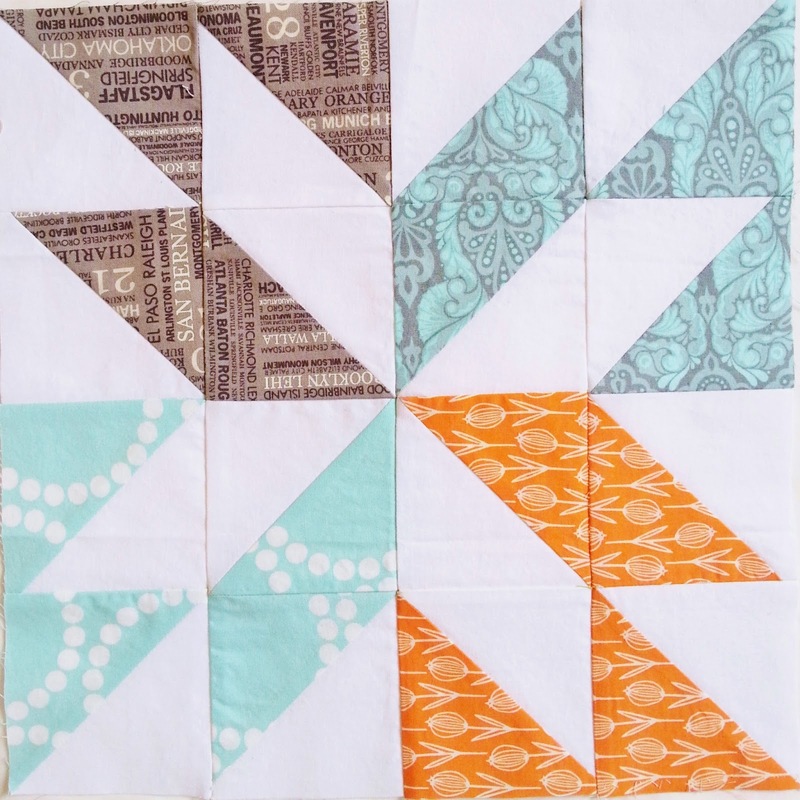 My aqua and orange quilt is coming together rather quickly. 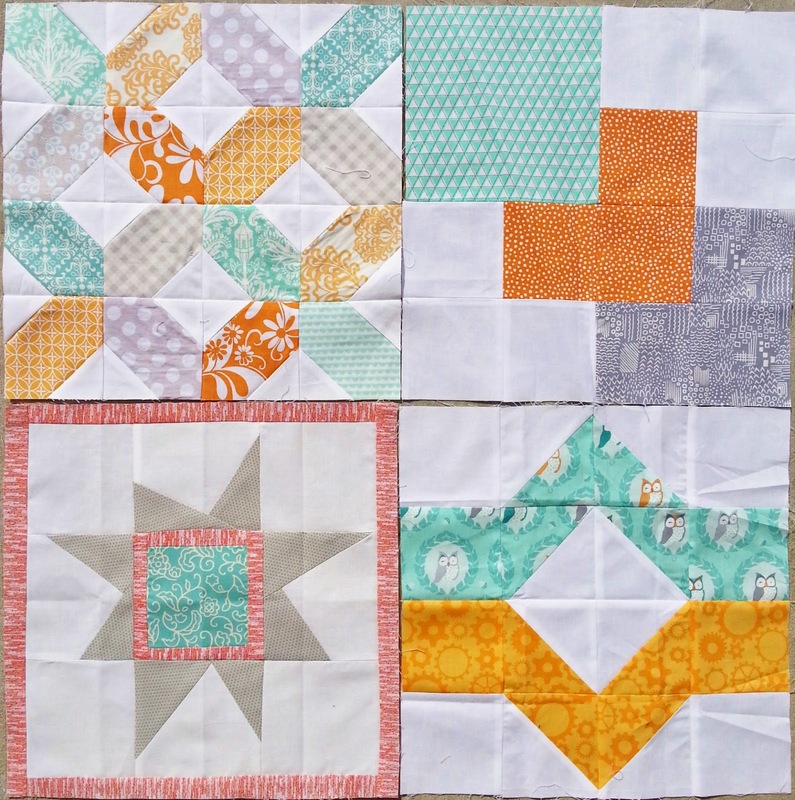 I think one or two more months of swapping and I'll have enough blocks! WooHoo! 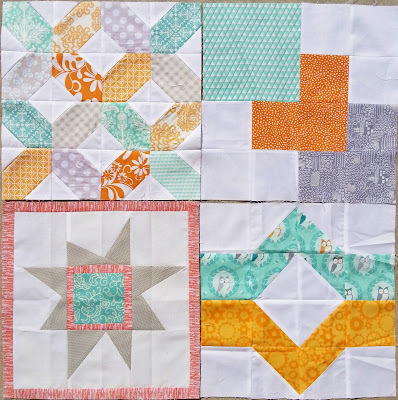 Here are the blocks I received in June. Add these to the blocks I already have and this one is shaping up beautifully. After seeing a pretty block pop up in our group pool from one of my May swap partners, her and I quickly arranged a side swap, as well (we were in different hives for June). I made her a rainbow-ish Road to Tennessee Block in all solids. She made me a Lucky star block in my colors! Can I just say again how much I love swaps?! I love the orange and aqua combo. Can't wait to see more! the orange and aqua together are so soothing to look at. I love that combo! 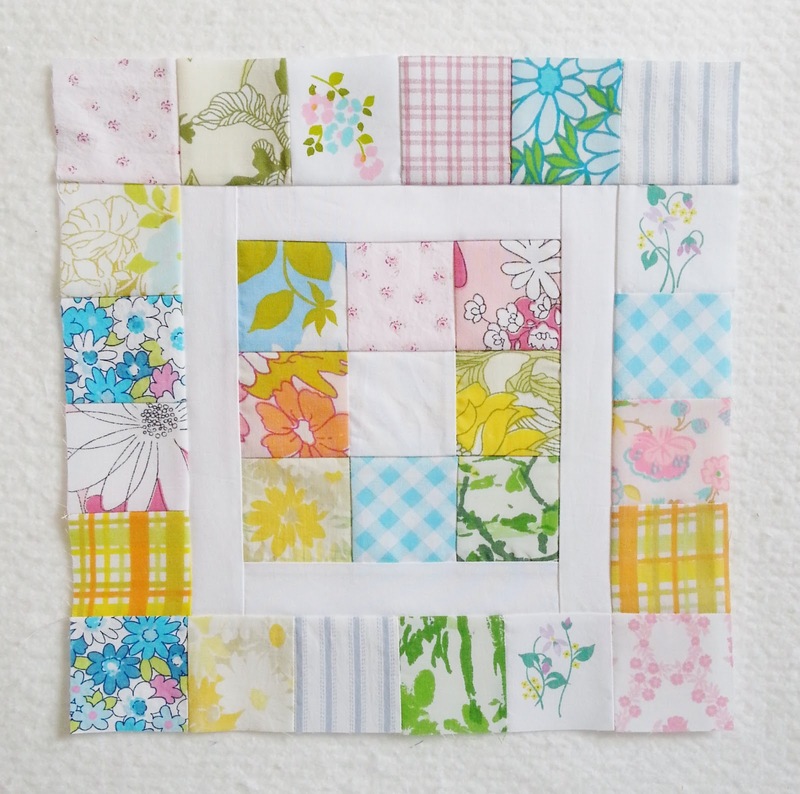 Your blocks are really beautiful!